Current/Former L&D Philly Members - DO NOT USE THIS OPTION TO RENEW or extend your membership. To renew or extend membership - log into the website and click on your profile in the top right corner of the screen. Understand the current trends in millennial engagement. Dr. Brandi is the CEO at Millennial Ventures Holdings, the parent company to a growing portfolio of women and minority-owned businesses. Prior to her role at Millennial Ventures, she spent over 6 years as a Business and Psychology professor at institutions such as Temple University, Harcum College, and Johns Hopkins. In 2018, she was invited to join the teaching team at the University of Pennsylvania Wharton School, where she currently teaches Management Communication. After publishing her first book on corporate leadership, Dr. Brandi has become a thought-leader who is tapped by organizations like Discover, Comcast, and the Federal Government to share her unconventional insights on engaging the millennial workforce, leadership, and diversity. Dr. Brandi was also the 2017 commencement speaker at Brightwood College where she shared her perspective on how to achieve "career freedom", a concept that she teaches professionals around the globe. 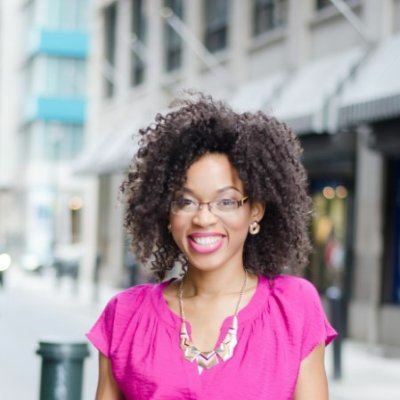 She was appointed to Philadelphia Mayor Jim Kenney's Millennial Advisory Commission in 2017 and was recently named one of Philadelphia's Most Influential African American's by the Philadelphia Tribune. In 2018, her company Millennial Ventures received the Small Business of the Year Award and the Philadelphia Business Journal awarded her as one of Philadelphia's 40 Under 40.